Home Develop Beat This Heat Stroke With Those 7 Tips! We may not have the Gulf’s petrol or cash but we surely have their boiling hot weather! 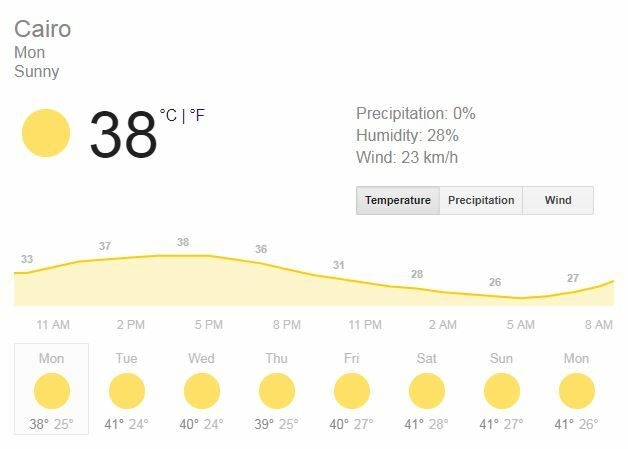 This week the weather is expected to hit 41⁰C which is something that we are not physically and emotionally prepared for. But don’t worry, we are always here to save you from those hard days. Here are some tips to help you beat this heat stroke and Cairo’s Weather Forecast for this week! 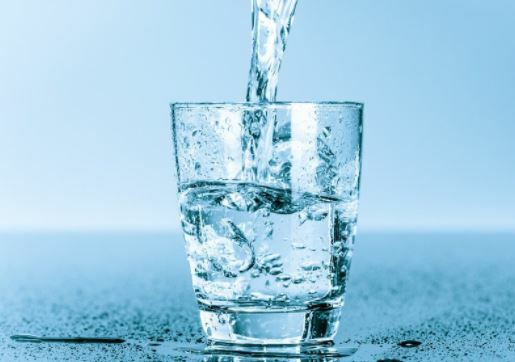 The best thing about water is that you can never have enough. You can add some fruits to it and it is a whole new drink with the same benefits. Water keeps you hydrated, and it keeps your body cool from the inside and it will make up for all the sweating. 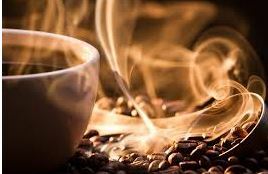 Avoid beverages that contain caffeine, or lots of sugar, which are dehydrating. Try a smoothie for lunch, and add more fruits and vegetables to all your meals. Watermelon has the greatest water content of any food out there. 3. 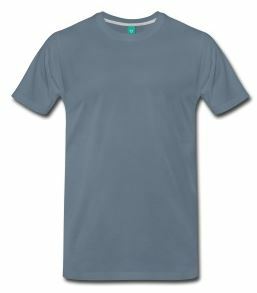 Wear loose fitting, lightweight clothing. 4. Never leave anyone in a parked car. This is a common cause of heat-related deaths in children. When parked in the sun, the temperature in your car can rise rapidly. It’s not safe to leave a person in a parked car in warm or hot weather, even if the windows are cracked or the car is in shade. 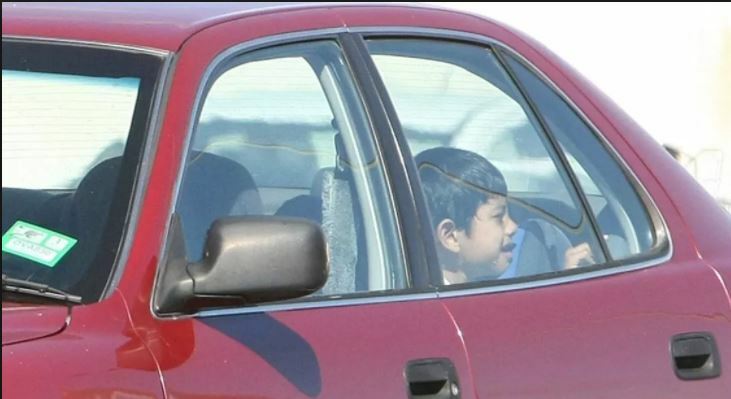 When your car is parked, keep it locked to prevent a child from getting inside. the classic Egyptian cucumber yogurt salad, at 95 percent water content, a cup of cucumber slices is nearly as thirst-quenching as a glass of water. 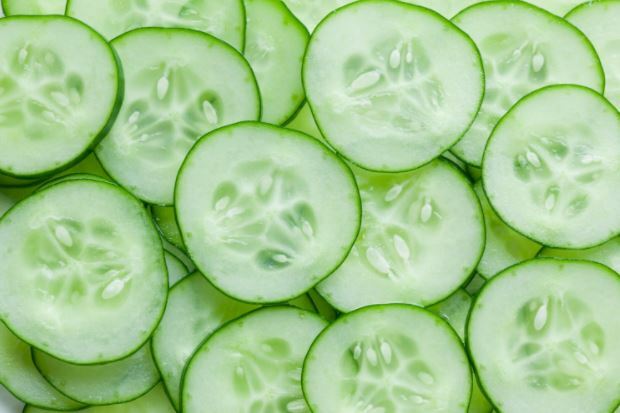 Cucumbers also provide a little fiber and some vitamin C (about 6 percent of the Daily Value per cup). Whereas regular plain yogurt is 85 to 88% water. Eating this high-water-content food promotes the growth of good bacteria in the stomach, which can help you feel less bloated. If you are eating yogurt for its H2O content, choose regular yogurt over Greek. 6. Pack Celery for lunch! 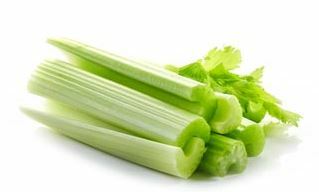 Crunchy celery is 96 percent water, but it also provides a combination of mineral salts, amino acids and vitamins that research shows may hydrate your body twice as effectively as a glass of water. Try to limit your outdoor activity to when it’s coolest, like morning and evening hours. 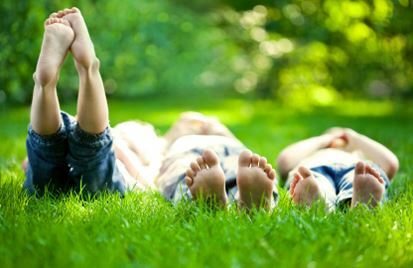 Rest often in shady areas so that your body has a chance to recover. Previous articleRamadan 2017 Ads Are Spreading Hope and Joy! Next articleTop Egyptian Sunscreens to Save You This Summer! Micellar Water, Your Answer to Everything! Breaking: Cairo Runners Pyramids Run Cancelled!